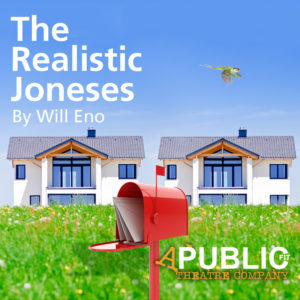 The Realistic Joneses features Mike Rasmussen, Rebecca Reyes, Timothy Cummings and Tina Rice and is directed by A Public Fit’s Associate Artistic Director, Daniel Kucan. As always, immediately following the performance A Public Fit will continue the conversation with The Buzzz, a moderated discussion of the play’s themes, style and impressions. The Buzzz is an expression of APF’s on-going commitment to audience engagement, treating each production as the start of an unending conversation.